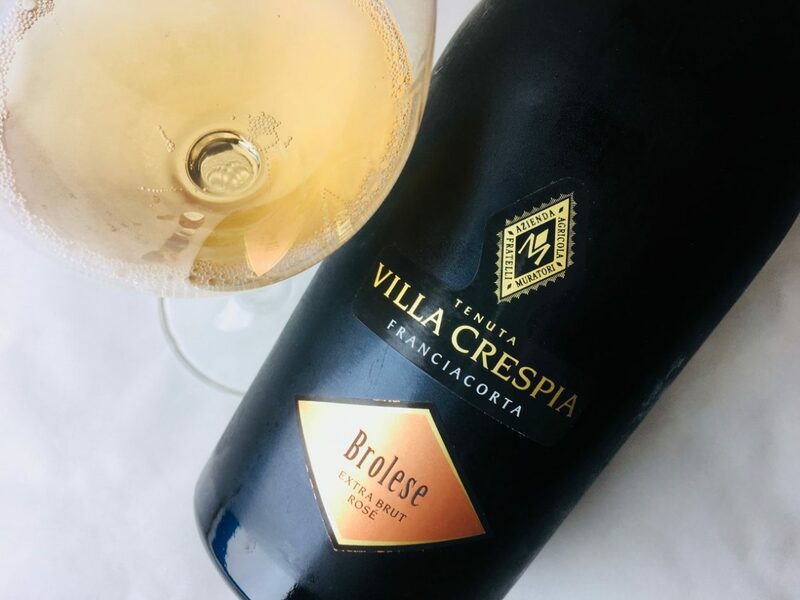 Brolese’s Franciacorta rosé is an estate wine, 60 percent Chardonnay and 40 percent Pinot Noir, grown in the silt-loam soils of their Averoldi and San Faustino vineyards. Vinification was in stainless, and a portion of lots went through the softening of malolactic. The wine spent 30 months minimum en tirage and, as an extra brut, was dosed under 6 g/L. Its robe is the palest salmon pink with an active foam that subsides quickly into a quiet bead. The aromas are tawny and redolent of age, suggesting cherrystone, almond extract, marzipan, and pastry, but they get a lift from peachy fruit. The mousse washes the palate in nut and honey, spicy red berries, and pink grapefruit. An opulent wine, it’s good as an aperitif or served with rich shellfish (lobster, shrimp, mussels), light meats or pastas in cream sauce, or with a mixed cheese course scattered with nuts and dried fruits. 13% abv | $30 (sample) Imported by Vinifera Imports Ltd.